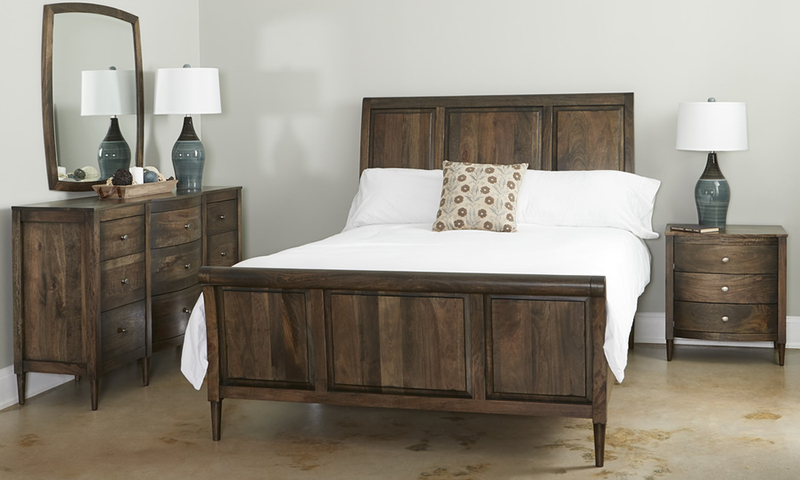 If you are looking for a bedroom collection includes Sleigh bed, Style N Living is here to help. All of our designs are created without compromise for performance, aesthetics and practicality. Our Gardenia bed is the perfect choice for anyone who love the sleigh bed. The Gardenia bedroom, in Patina finished solid Mango wood, is one of the most stylish collections. The bed features a stunning frame and panel construction with glazed finish in recessed areas. The case pieces have under mount ball bearing self closing glides. Antique nickel finish hardware adds to the glory of this collection which is finished with green guard certified materials.